In the analogue world, one cannot do better than LP’s, right? Wrong! In the high times of LP replay, the masters were made on analog tape. 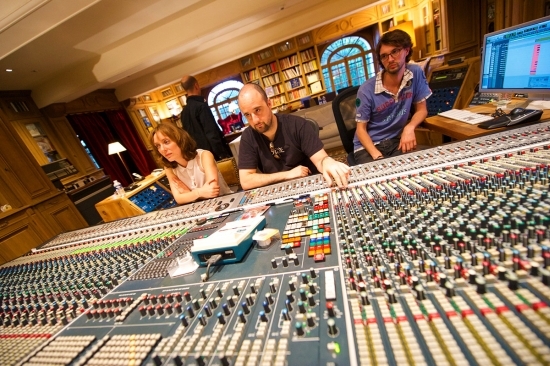 It was often said by producers and sound engineers that LP’s are nice enough, but nothing compared to the master of which they were made… the analog master tape. Now, what if you could buy that master tape? Surely that must be best thing in audio replay ever! I was contacted by Chiara Bandelloni, asking if I would write something about the world’s first record label to produce contemporary artists at its recording studio, distributing Original Master Tapes We’re not talking copies of the master tape, but the actual master tape itself! So, instead of producing copies from a pre-existing master, they produce an original master directly from a multi-track recording system. No first generation copies but only original Master Tapes, in order to ensure the best listening experience ever. In order to be able to listen to the music prior to buying, there is an Audio Sample section in each product page where samples can be downloaded in zipped 24/96.wav format. As an alternative, they can prepare a sample tape with about one minute of music per track for €20 plus shipping costs. Reading this info, and looking around on their website, I am much intrigued! 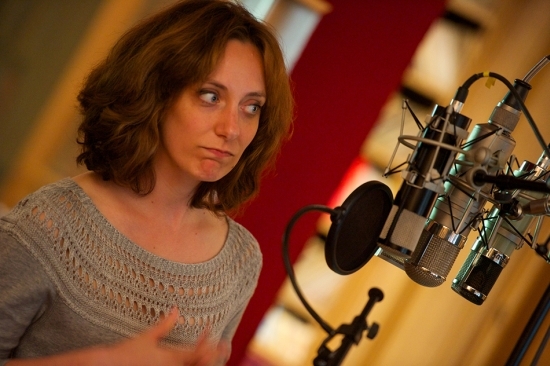 Chiara was happy to send some recordings but as I have no reel to reel machine, I would not be able to play them. I will try to obtain a machine on loan so that I can hear the quality for myself and when I do, this article will be updated. For now, all I have are some nice pictures, and the official info below. 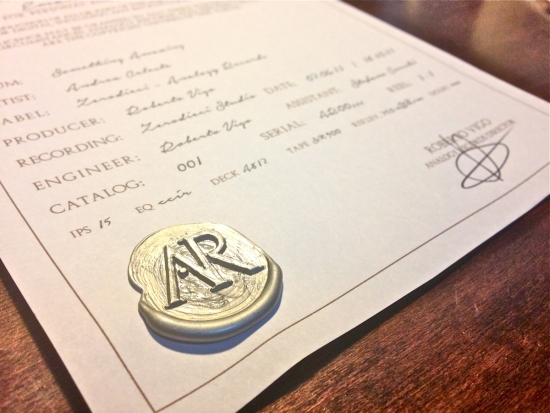 Reel-to-reel, audiophile label Analogy Records announces its plans for the first half of 2016, adding 3 more titles to the catalog, for a total of 12 albums available on magnetic tape. Andrea Celeste’s “Kaleidoscope” is the upcoming release, an intense acoustic pop album recorded by the legendary Producer, 24 times Grammy winner Al Schmitt. “Suite For The Seagulls” is one of a kind jazz album, the meeting between the Norwegian Artist Alf Wilhelm Lundberg and his “Norchestra” and the Italian classical GNU Quartet. 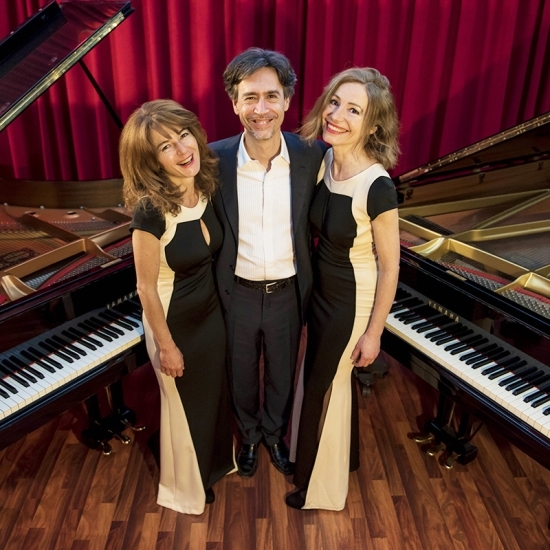 Finally, “Between Earth and Heaven” will be the first classic-contemporary album of Analogy Records, the international piano duo Biondi-Brunialti leads the album among percussions and brass. 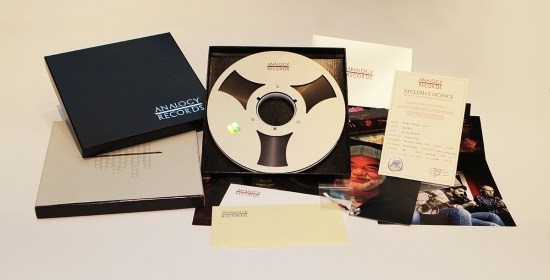 Analogy Records’ uniqueness, features the production of Studio Original Master Tapes: instead of producing copies from any pre-existing master, for each order Analogy Records produces an original master directly from the multi-track recording system, thus removing an additional stage. 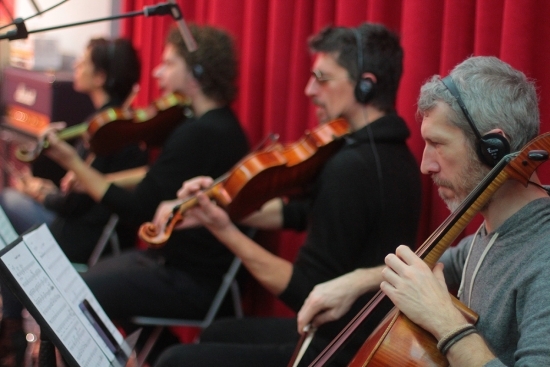 Thanks to the world class recording studio (Zerodieci Studio) which is fully integrated and part of the label, no first generation copies are made, but only original Master Tapes, in order to ensure the best listening experience ever. 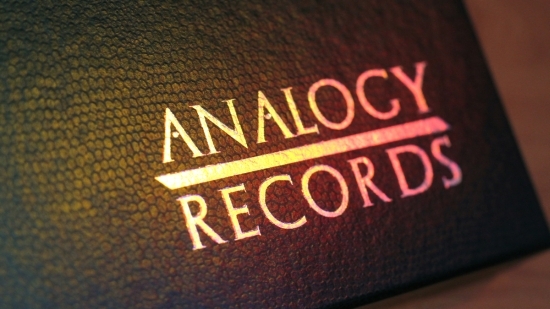 As a traditional record label, Analogy Records looks for the most interesting and original artists, embracing a wide range of music genres, from jazz to classical music, from world to contemporary, from folk to country, all the way to stylish pop. 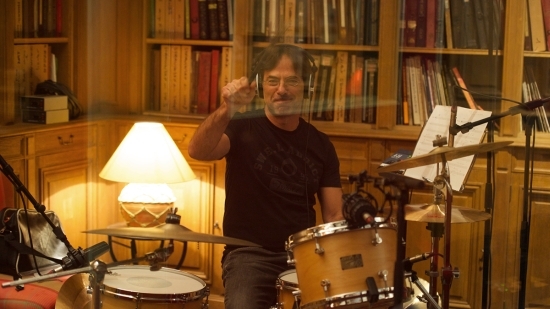 “The goal of all my recordings has always been the highest quality, as well as the care in microphone techniques, the creativity in mixing, the emotion that a song can arise in the listener. 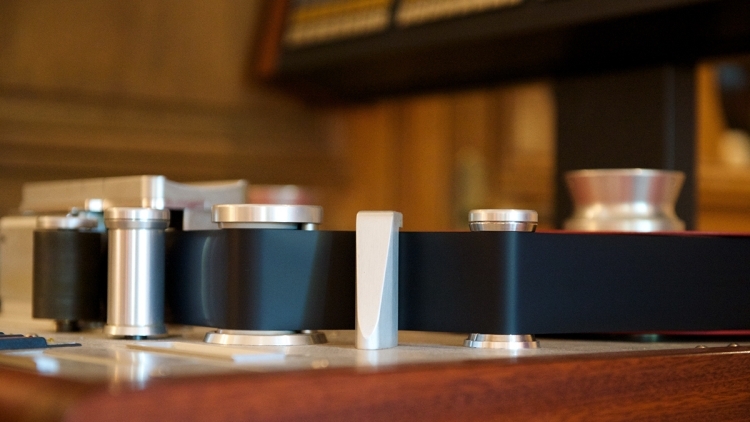 In an era when the way of listening music is getting worse and worse because of the use of some codecs that lower quality, I’ve felt the urge to produce artists and albums for a refined and demanding audience, who pays attention to details and nuances, by using the best available analog media: the magnetic tape. Over the last two years we have worked on countless aspects: the concept; the exclusive, unmistakable design of our aluminium flanges; the handmade boxesů We have performed technical tests, created a considerable number of prototypes, forged partnerships with major companies and small craftsmen alike. 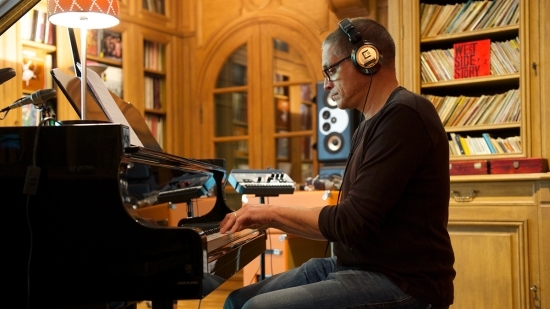 Now we are ready to offer you new music, where art and pure recording techniques blend together to create a perfect synergy; a music made of emotions and of the finest acoustic details, and filled with all our passion, care, and enthusiasm. We’re Analogy Records”.